In 2018, God called us to BE the standard because He knew the shaking was coming. Coffeehouse Meeting: "2019--The Year of the Shaking"
Apostle Markita Brooks shares a revelation for 2019 titled "2019: The Year of the Shaking". God continues to speak through Apostle Markita Brooks on the Word for the Year, "2019: The Year of the Shaking". God speaks through Apostle Markita Brooks, continuing the message for the Year: 2019--The Year of the Shaking. This message reveals more about why and how God shakes dust and captivity off His people. God continues to speak through Apostle Markita Brooks on the Word for the Year, "2019: The Year of the Shaking"
God continues to speak through Apostle Markita Brooks on the Word for the year "2019: The Year of the Shaking"
God continues to speak through Apostle Markita Brooks about the word for the year, "2019: The Year of the Shaking." 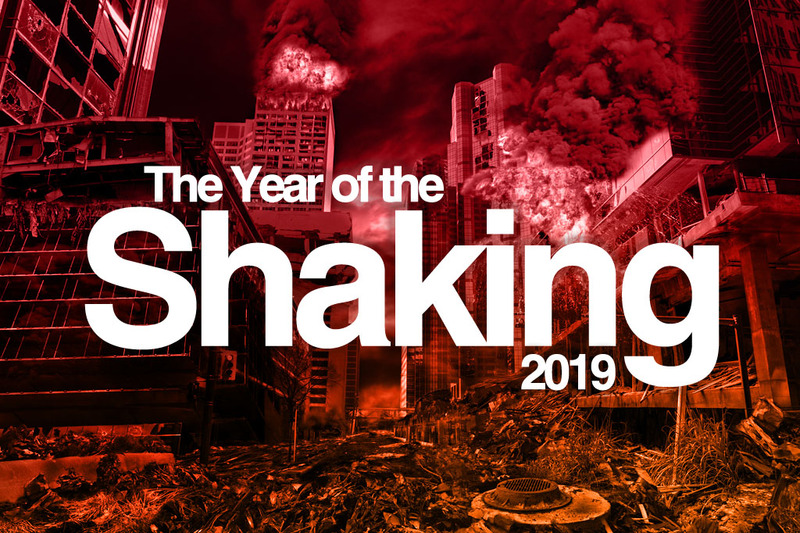 God continues to speak through Apostle Markita Brooks about the Word for the year, "2019: The Year of the Shaking"
God continues to speak through Apostle Markita Brooks on the Word for the Year, "2019: The Year of the Shaking." God continues to speak through Apostle Markita Brooks in this final teaching on "2019: The Year of the Shaking".